One of the most popular tour destination. 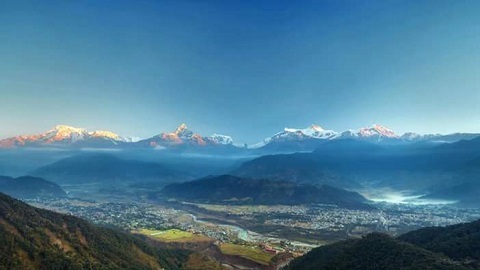 Mount Fishtail and the range of Annapurna and Dhaulagiri. Our Pokhara TT4FT tour guide will pick you up from your hotel then head tothe Australian camp which is the best view point for mountain views. We don't need to pay any entrance / permit fee like Annapurna Conservation Area and TIMS card. 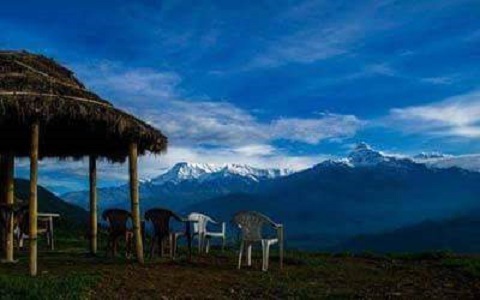 It is one of the most popular tour destination in Nepal. From Australian camp, we head to Sarangkot. It is located 5 km from Pokhara. 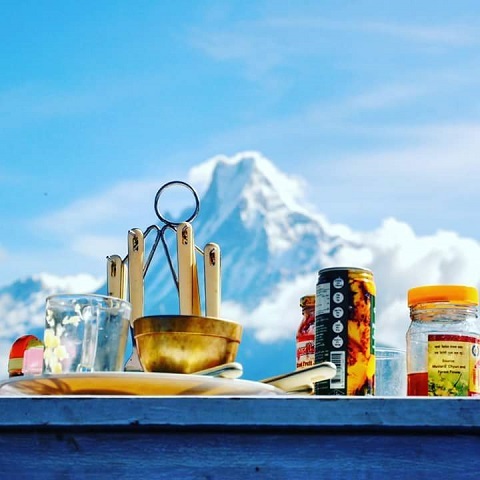 From Sarangkot, we can enjoy the great breathtaking view of Mount Fishtail and the range of Annapurna, Himchuli, Mardihimal Lamjung peak and Dhaulagiri in the far west as well as view of Pokhara valley. Sarangkot is 1592 m high. Many tourists come to Sarangkot for sunrise view and go back after few hours. But it is nice if you are able to stay there for one night to enjoy the night view and city lights of Pokhara. Day 1: Pokhara to Kade by private car, 1 hour then walking to Australian camp 2720 m, 1-2 hours. Overnight at guest house. Day 2: Camp to Sarangkot (1592 m) walking 4-5 hours. Overnight at hotel. Day 3: Early morning, walk to Sarangkot viewpoint for sunrise view, then back to hotel. After breakfast, drop to Pokhara by private car. - English speaking guide and porter (2 trekkers 1 porter). - Hiking accommodation in lodge / tea house with breakfast, lunch and dinner (twin share room). - Private car from Pokhara to Kade and from Sarangkot to Pokhara. - Tips for guide and porter.